If there's one celebrity stylist that all the major Hollywood girls have on speed dial, it's Monica Rose. Think Chrissy Teigen, Sofia Richie, Shay Mitchell, and Chanel Iman, to name a few. It's not hard to imagine how many pairs of shoes, bags, sunglasses, and racks of clothing Rose needs on hand when her clients come by. In fact, the sheer volume of things that needed organizing was one of the biggest challenges Lisa Adams, founder of L.A. Closet Design, had when designing Rose's closet. Adams was faced with a monumental task, but she took it head on and managed to create a multifaceted 1800-square-foot space that also serves as a chic, minimal, and cozy studio, office, and a closet where Rose and her clients can work. You can see from the photos that Rose's fashion style absolutely influenced her closet design. "My style is masculine with a touch of feminine, chic yet minimal," she says. "I love a neutral palette, and I love to mix vintage with modern. I also tend to gravitate toward a lot of marble and clean lines." All the pipes throughout the closet design are very masculine and have clean lines, yet all the accents are feminine and chic, just like her personal approach. There is so much to love about this closet design, but our favorite part is the stunning lounge area complete with a curved velvet sofa—a hot trend we hope is here to stay. Read on to learn how Adams did it and then shop the look. Since the closet is located in a loft space with high ceilings (and a lot of windows), it really was a dream space for Adams to work with. "When I first visited, there were a lot of cabinets, garment racks, and boxes everywhere; they weren't sure how to utilize the space," she says. Turns out, making use of space is Adams's specialty. The space was originally intended to be Rose's studio, so Adams was excited about the prospect of fusing the studio with the closet and dressing room. Despite the room's 1800-square foot size, Adams tells me that in terms of actual space, it isn’t the largest closet she's ever designed. It was, however, the largest in terms of volume of clothing and accessories and the various categories that Rose has to have for her clients' fittings. We can only imagine. Since Rose is leasing the space, Adams's team couldn't do any major construction, but they did install custom hanging rods out of pipes, created a fitting room, installed full-height shoe shelves and islands, and hung artwork. It was important to Adams that the loft feel of the studio be maintained while finding a way to create an intimate and personal vibe despite the high ceilings. "Monica says that her clients usually come with a team (glam, assistant, etc. ), so I wanted to create a sitting area, as well as a conference area for having meetings," Adams explains. "She’s always felt embarrassed in her previous studios to bring clients in because of the clutter, so it was important to her to have a space that could function in the various ways and still be a beautiful space she is proud to bring clients into." Adams is very confident in her approach and aesthetic, describing her style as modern, classic, and feminine, and Monica really looked to her and trusted her design sensibility and style to create and reimagine her studio space. "It was overwhelming, at times, because of the sheer volume of items going into the space, and I like things having a place, so we definitely went back and forth to try to give her the most storage as possible while still trying to achieve a clean, modern look," she says. Despite everything in the room, Adams's favorite thing about the new studio design is the hat wall. "When I think of Monica, I associate her with a hat, so creating this wall of hats was personal," she says. "I love that she can now see every hat that she owns. I also love the two intersecting islands with white and black marble countertops, respectively, and the conference table that butts up to the island. Who doesn’t love a triple island? All that counter top space." The biggest challenge of the project was the sheer number of items and various functions the space needed to serve. For example, it needed to be an office for Rose's girls, fittings, conference/meetings, sourcing, packing, putting together various looks for clients, storing Monica's wardrobe kits, photo shoots, the list goes on. "We were also mindful of the budget, so we really got the biggest bang out of every dollar," she says. "Her boots were also tricky—I wanted to hang them, but couldn't because of the number of boots she had, so it was a math problem trying to get all of her over-the-knee boots, tall boots, calf boots, and ankle boots in there." 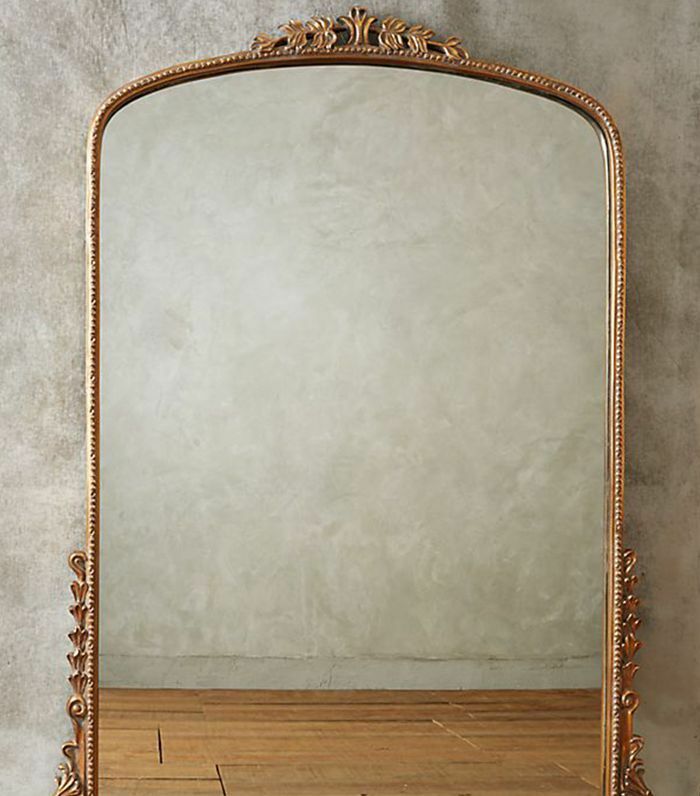 This gilded French-style floor mirror is sure to ramp up the style dial in any room. Looking for that perfect corner chair? 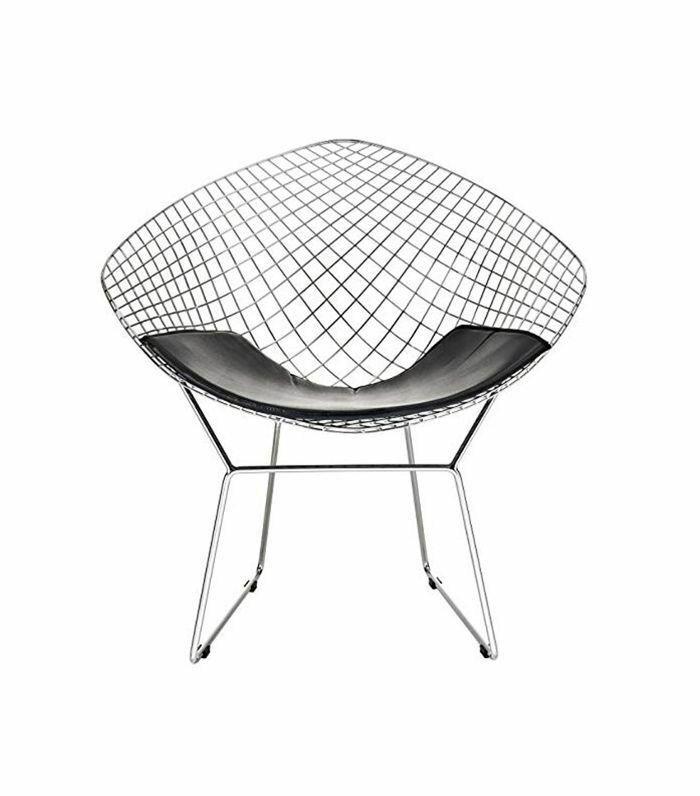 This Bertoia-style will do the trick. 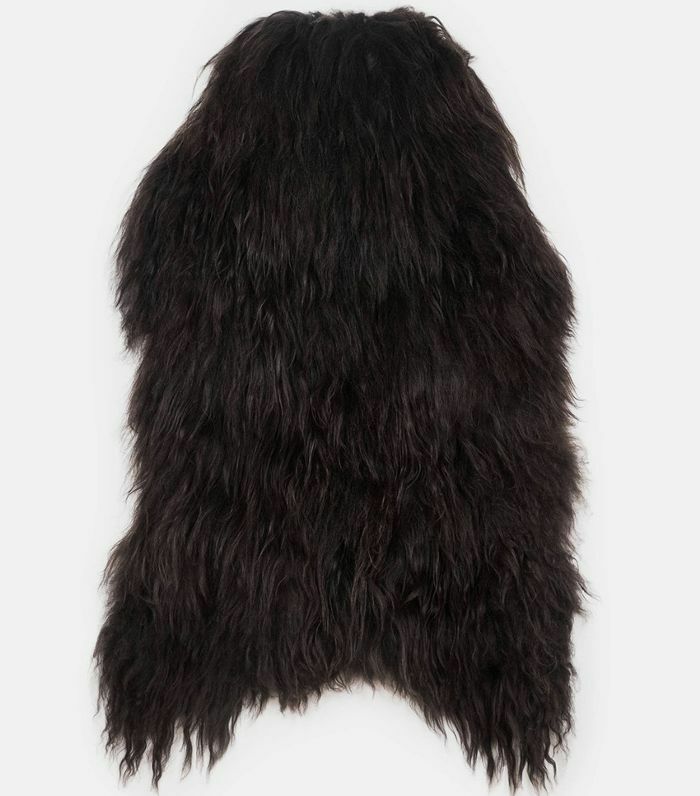 Throw this chic black Icelandic throw over an office chair to ramp up the homely cozy factor. 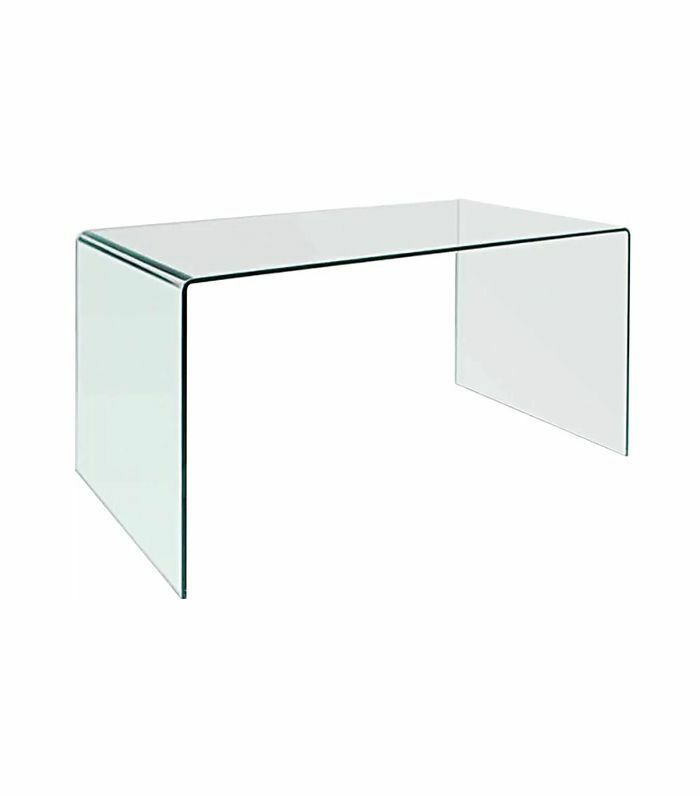 This see-thru desk is perfect for a small office or those who love minimal design. 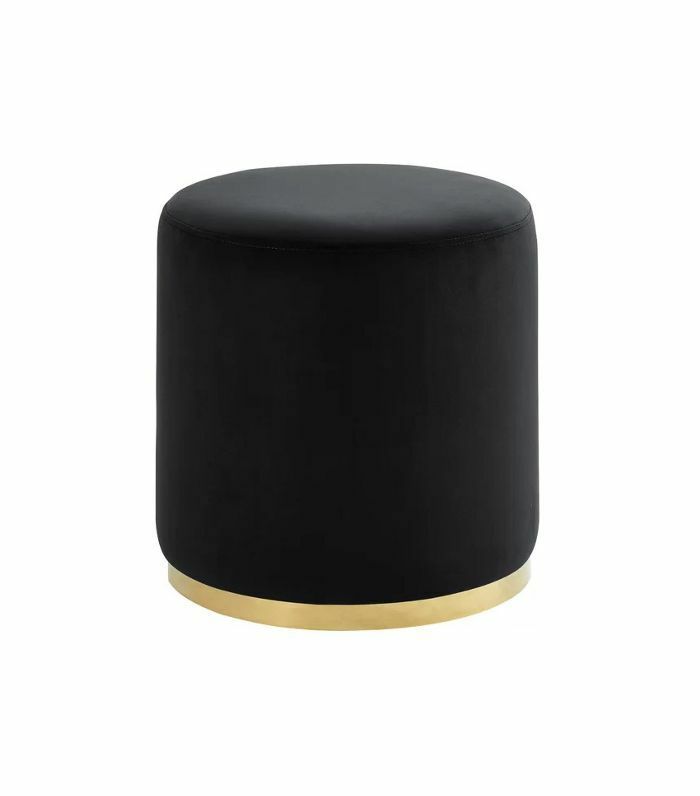 Swap chairs for ottomans to save space and add a unique touch to an office or studio. There is a mushroom trend happening in lighting (we're obsessed with the Atollo lamp), so it was only a matter of time before it came to furniture too. 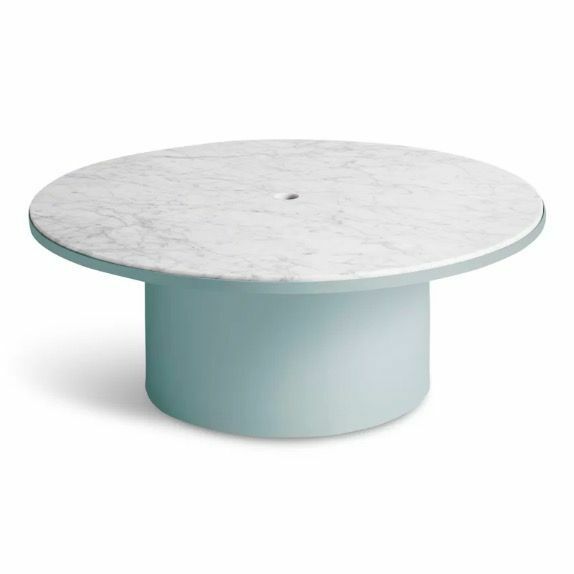 This coffee table is super chic. Up Next: Exclusive—Designers Nate Berkus and Jeremiah Brent Open Up Their L.A Home.